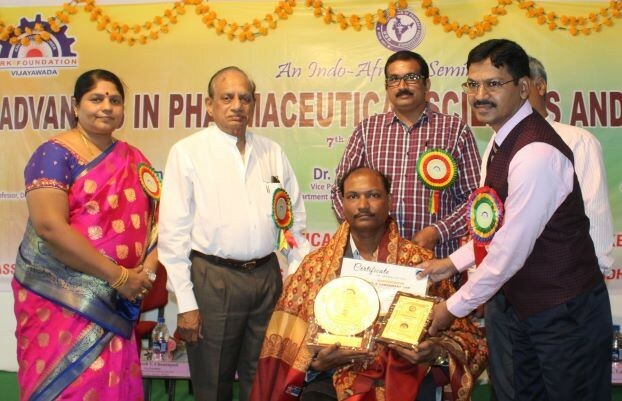 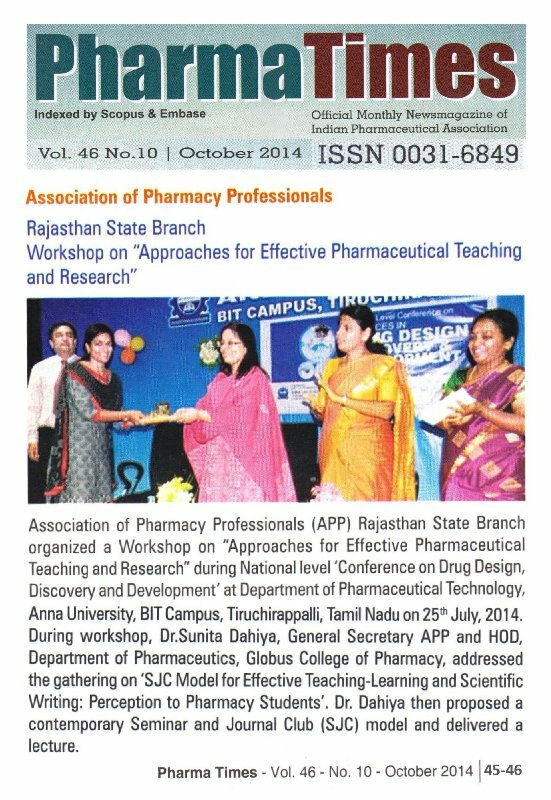 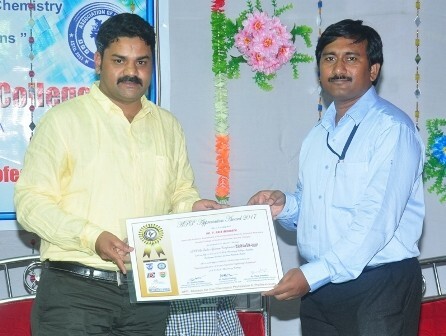 Association of Pharmacy Professionals (APP) Rajasthan State Branch organized a Workshop on “Approaches for Effective Pharmaceutical Teaching and Research” during National level Conference on Drug Design, Discovery and Development’ at Department of Pharmaceutical Technology, Anna University, BIT Campus, Tiruchirappalli, Tamil Nadu on 25th July, 2014. 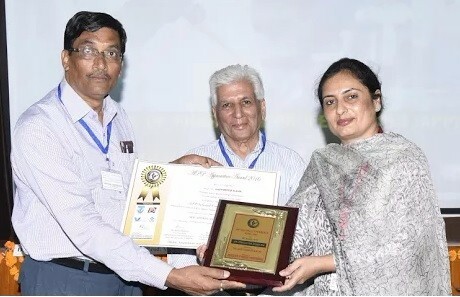 During workshop, Dr. Sunita Dahiya, General Secretary APP and HOD, Department of Pharmaceutics, Globus College of Pharmacy, Bhopal, Madhya Pradesh addressed the gathering on ‘Seminar and Journal Club (SJC) Model for Effective Teaching-Learning and Scientific Writing: Perception to Post Graduation Pharmacy Students’. 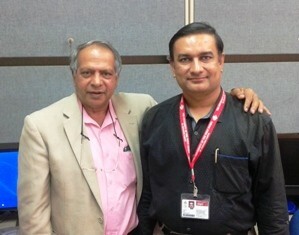 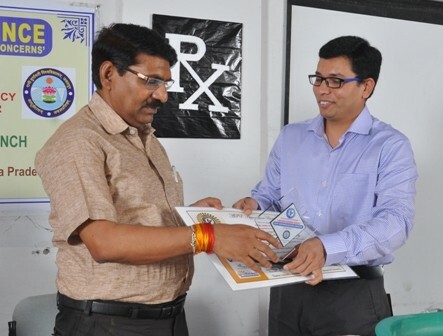 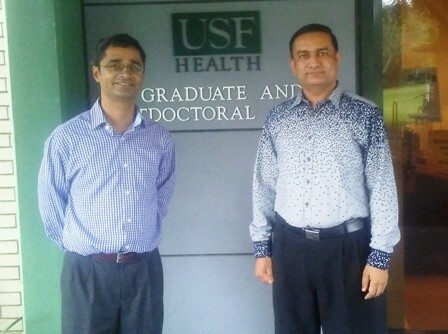 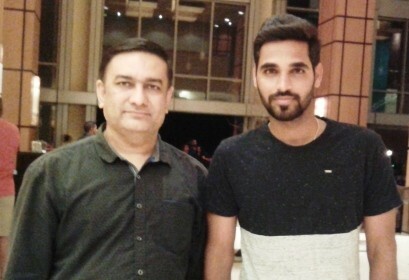 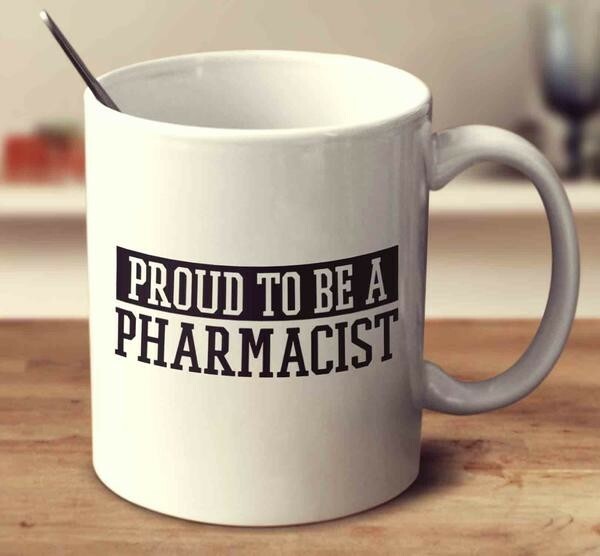 Dr. Dahiya told that theory and practicals are two essential components of pharmacy course curriculum; but in addition to appearing and passing examination with good score grades, pharmacy degree pursuing students are essentially required to develop professional skills which might not be attained solely by conventional class room programs. 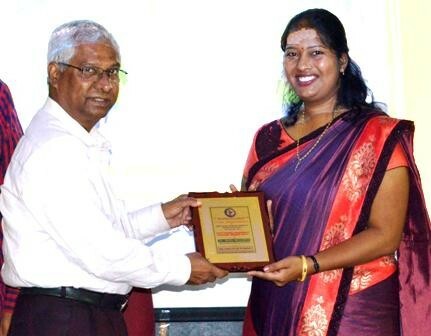 She proposed a contemporary Seminar and Journal Club (SJC) model and explained how to correlate, practise, implement and utilize the fundamentals of this model to study the theory, practicals topics as well as to prepare the students for scientific writing including preparation for synopsis, thesis and paper publication. 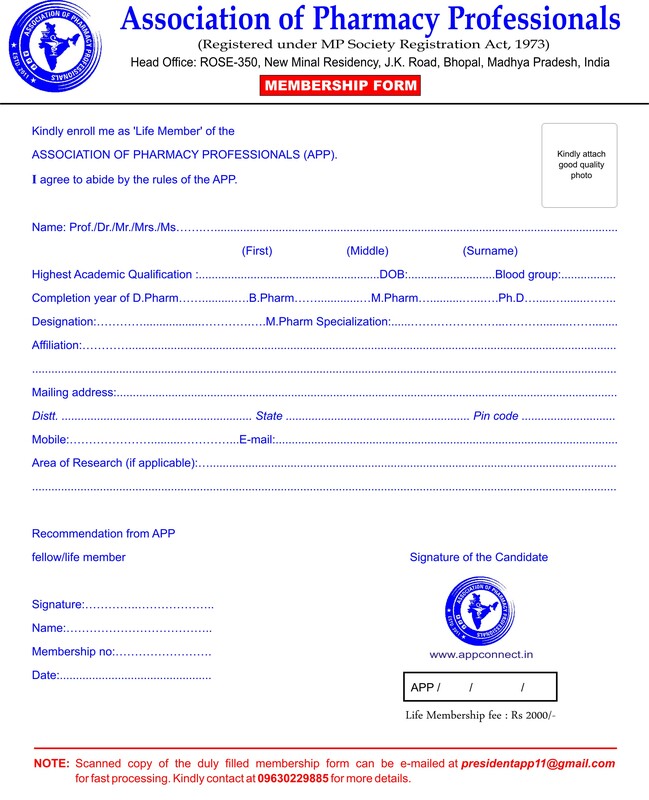 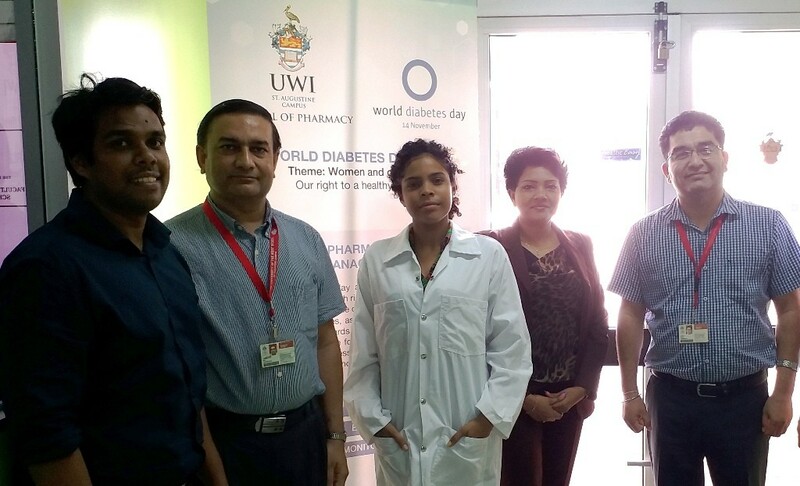 This model seems to be a complete training program for UG/PG students during their course of studies providing in depth knowledge; consequently improving quality and standards of pharmacy students. 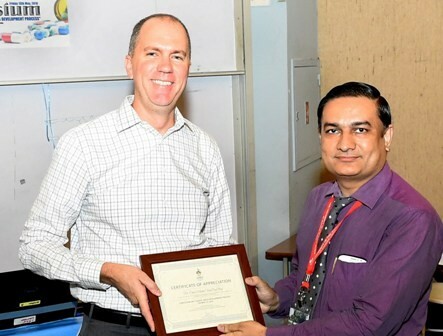 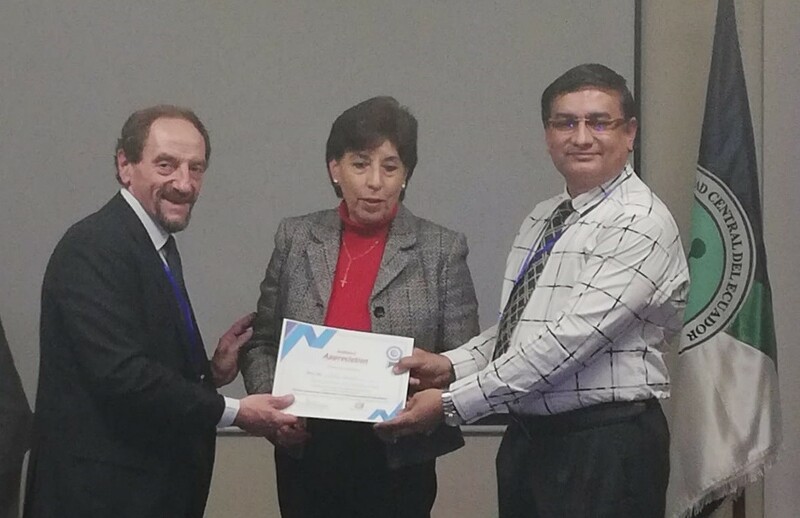 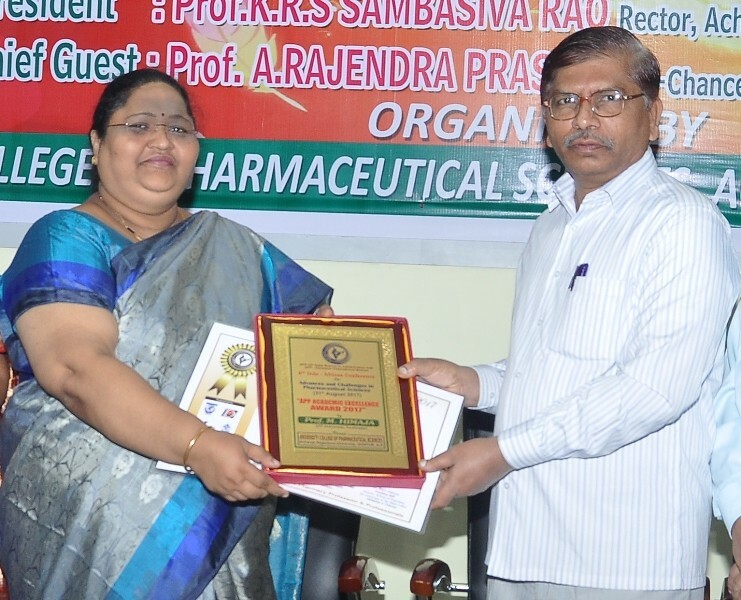 After the lecture, memento and certificate were given to Dr. Dahiya by Dr. Meena Kishore Sakharkar, Associate Professor and Chair – Rational in Drug Design, University of Sasketchewan, Canada and Dr. K. Ruckmani, Professor & Head, Department of Pharmaceutical Technology, Anna University, BIT Campus, Tiruchirappalli, Tamil Nadu and Director, Centre for Excellence in Nanobio Translational REsearch (CENTRE). 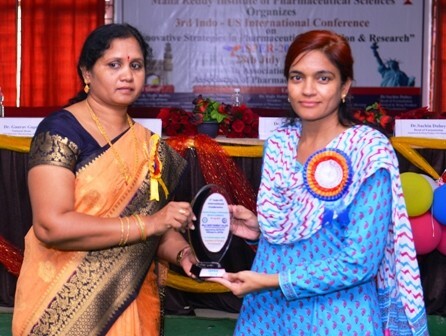 During workshop, Dr. Sunita Dahiya was honored with ‘Young Achiever Award’ by Dr. G. Mariappan, Director, Kamla Nehru Institute of Management and Technology – Pharmacy Institute, Sultanpur (UP) and Dr. S. Latha, Department of Pharmaceutical Technology, Anna University, Tiruchirappalli (TN) for her achievements in pharmaceutical field. 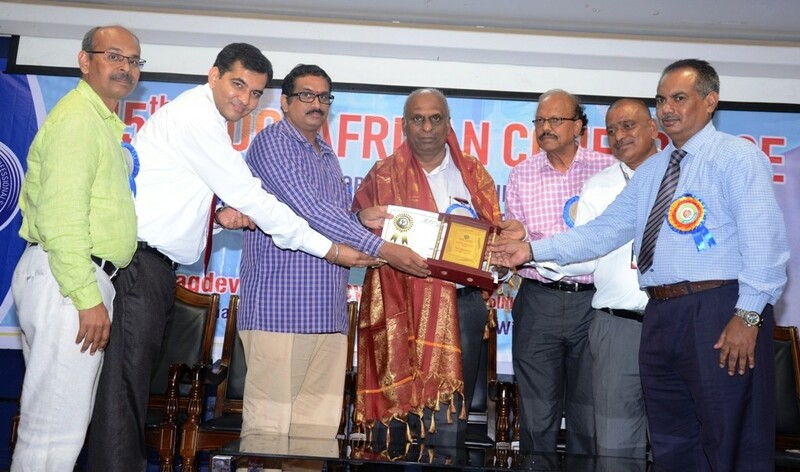 Workshop was witnessed by Dr. P. Selvamani, Dr. S. Lakshmana Prabhu; Mr. A. Shanmugarathinam; Mr. R. Suriyakanth; Ms. P.S. 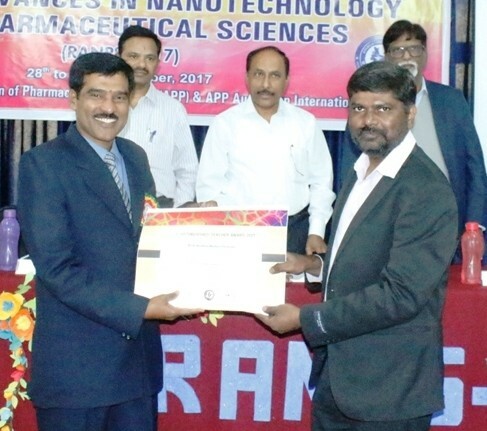 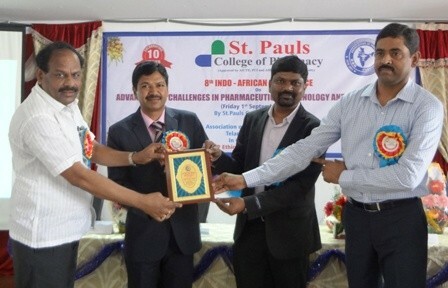 Dhivya; Mr. S. Rajkumar from Department of Pharmaceutical Technology, Anna University, BIT Campus, Tiruchirappalli, Tamil Nadu; Dr. Rajiv Dahiya, President APP as Convener and attended by members of APP Rajasthan State Branch, faculties of ANNA University and students of surrounding pharmacy/biotechnology departments of various universities/institutes. 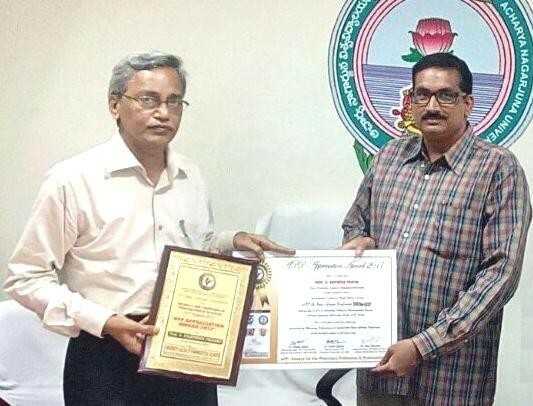 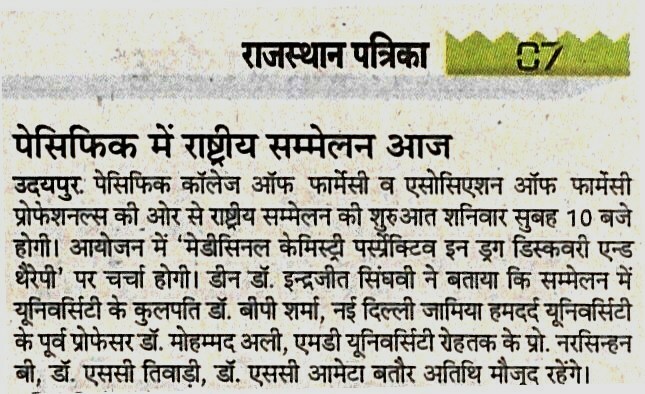 APP Rajasthan State Branch and Shrinathji Institute of Pharmacy (SIP), Rajsamand, Nathdwara (RJ) jointly organized a National Seminar on “Current Perspectives of Analytical Techniques in Pharmaceutical Sciences” on 24th September 2014 at the college premise. 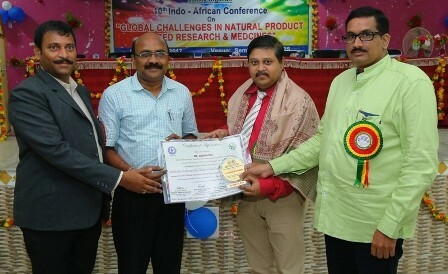 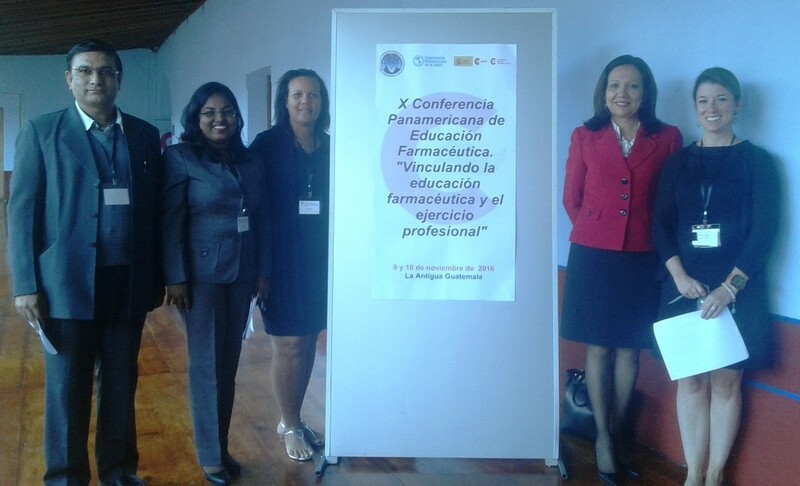 The main motive of this scientific meet was to provide a forum for in-depth discussion on importance of diverse analytical techniques in pharmacy research projects. 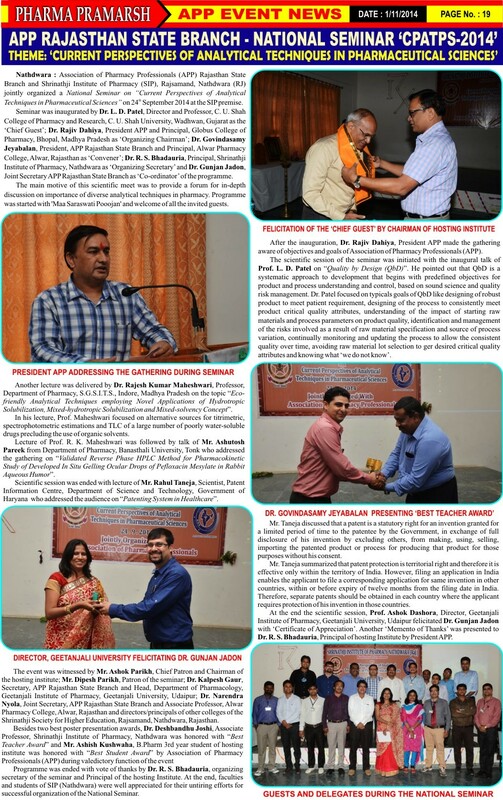 Programme was started with ‘Maa Saraswati Pooojan’ and welcome of all the guests by the chairman, principal, faculties of the hosting institute. 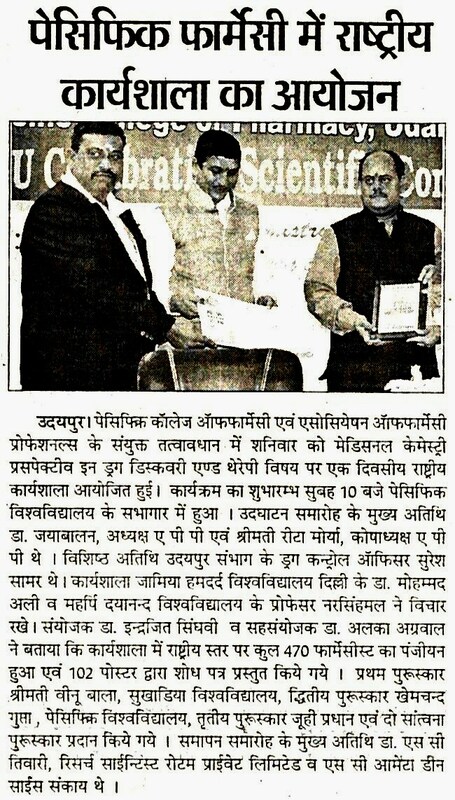 Seminar was inaugurated by Dr. L. D. Patel, Director and Professor, C. U. Shah College of Pharmacy and Research, C. U. Shah University, Wadhwan, Gujarat as the Chief Guest; Dr. Rajiv Dahiya, President APP and Principal, Globus College of Pharmacy, Bhopal, Madhya Pradesh as Organizing Chairman; Dr. Govindasamy Jeyabalan, President, APP Rajasthan State Branch and Principal, Alwar Pharmacy College, Alwar, Rajasthan as Convener; Dr. R. S. Bhadauria, Principal, Shrinathji Institute of Pharmacy, Nathdwara as Organizing Secretary and Dr. Gunjan Jadon, Joint Secretary APP Rajasthan State Branch as Co-ordinator of the programme. 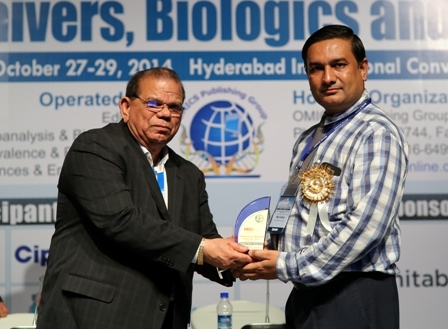 The scientific session of the seminar was initiated with the inaugural talk of Prof. L. D. Patel on “Quality by Design (QbD)” which was followed by lecture of Dr. Rajesh Kumar Maheshwari, Professor, Department of Pharmaceutics, SGSITS, Indore on the topic “Eco-friendly Analytical Techniques employing Novel Applications of Hydrotropic Solubilization, Mixed-hydrotropic Solubilization and Mixed-solvency Concept”. 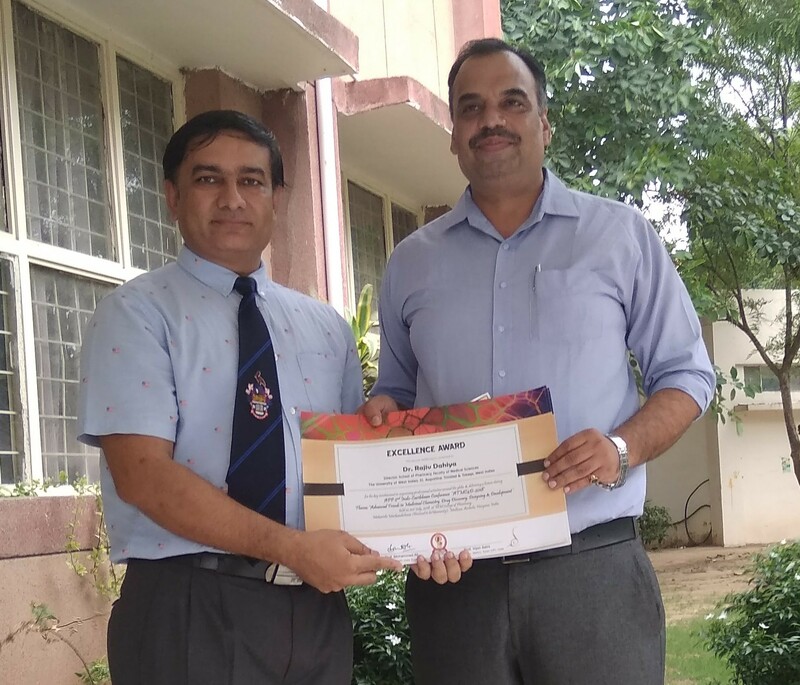 Another speaker, Mr. Rahul Taneja, Scientist, Patent Information Centre, Department of Science and Technology, Government of Haryana (Panchkula) addressed the audience on “Patenting System in Healthcare”. 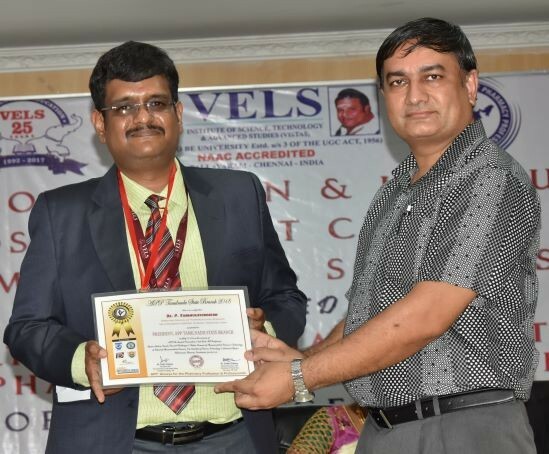 Scientific session was ended with lecture of Mr. Ashutosh Pareek from Department of Pharmacy, Banasthali University, Banasthali who addressed the gathering on “Validated Reverse Phase HPLC Method for Pharmacokinetic Study of Developed In Situ Gelling Ocular Drops of Pefloxacin Mesylate in Rabbit Aqueous Humor”. 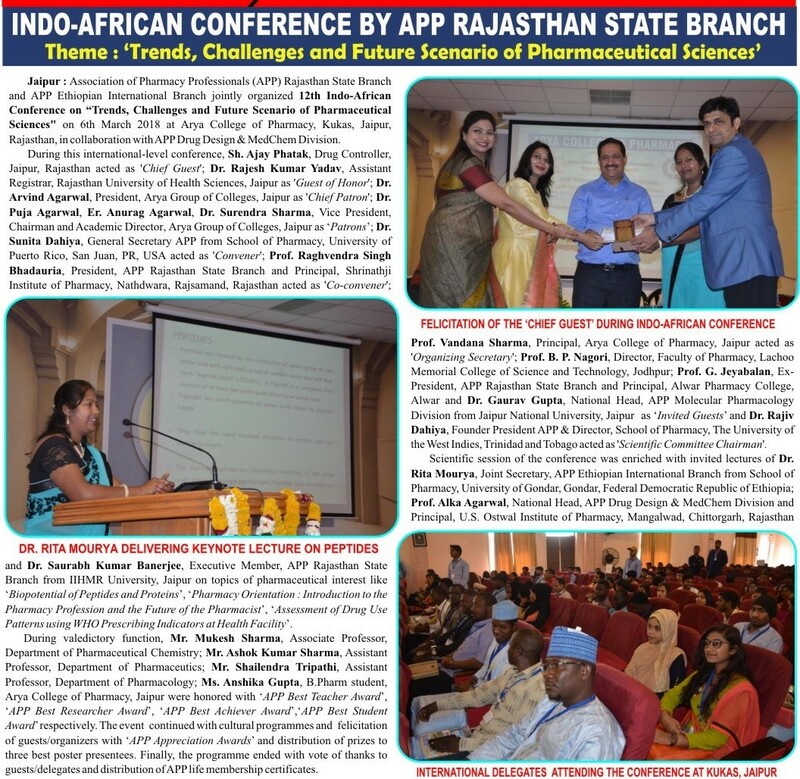 The event was witnessed by Mr. Ashok Parikh, Chief Patron and Chairman of the hosting institute; Mr. Dipesh Parikh, Patron of the seminar; Dr. Ashok Dashora, Director and Professor, Geetanjali Institute of Pharmacy, Geetanjali University, Udaipur; Dr. Kalpesh Gaur, Secretary, APP Rajasthan State Branch and Head, Department of Pharmacology, Geetanjali Institute of Pharmacy, Geetanjali University, Udaipur; Dr. Narendra Nyola, Joint Secretary, APP Rajasthan State Branch and Associate Professor, Alwar Pharmacy College, Alwar, Rajasthan and directors/principals of other colleges of the Shrinathji Society for Higher Education, Nathdwara. 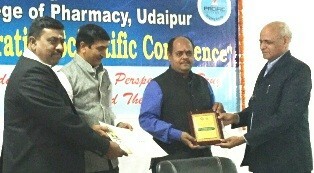 Besides two best poster presentation awards, Dr. Deshbandhu Joshi, Associate Professor, Shrinathji Institute of Pharmacy, Nathdwara was honored with “Best Teacher Award” and Mr. Ashish Kushwaha, B.Pharm 3rd year student of hosting institute was honored with “Best Student Award” by Association of Pharmacy Professionals (APP) during valedictory function of the event. 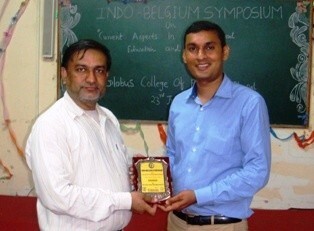 Programme was terminated with vote of thanks by Dr. R. S. Bhadauria, the organizing secretary of the seminar. 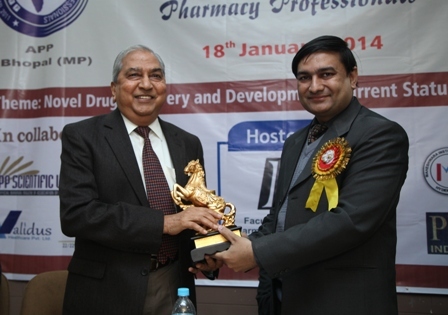 Association of Pharmacy Professionals (APP) Rajasthan State Branch celebrated “National Pharmacy Week 2014” by organizing a National Seminar on “Frontiers in Pharmaceutical Education and Research: Global Concerns” on the inaugural day of National Pharmacy Week – 16th November 2014 at Alwar Pharmacy College, Alwar. 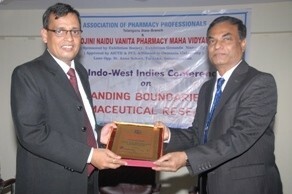 Seminar was inaugurated by Sh. 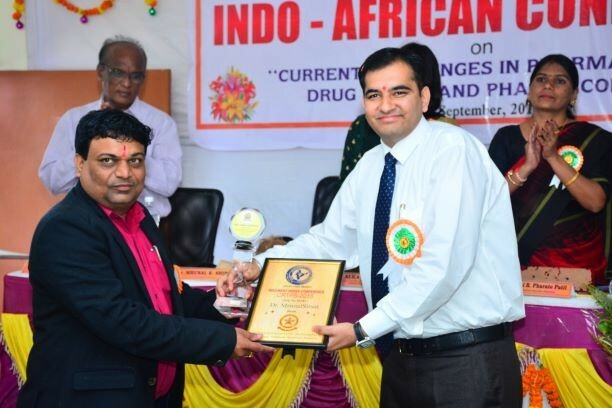 Ajay Phatak, Assistant Drug Controller, Jaipur, Rajasthan as the ‘Chief Guest’; Dr. V.K. 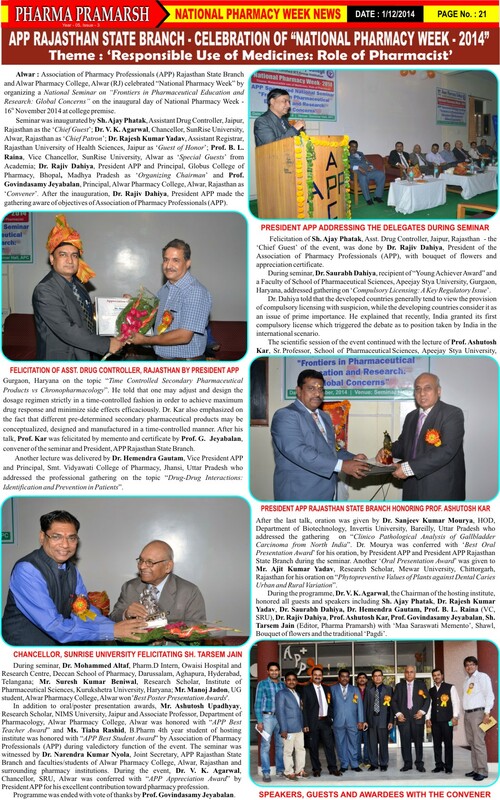 Agarwal, Chancellor, SunRise University, Alwar, Rajasthan as ‘Chief Patron’; Dr. Rajesh Kumar Yadav, Assistant Registrar, Rajasthan University of Health Sciences, Jaipur as ‘Guest of Honor’; Prof. B. L. Raina, Vice Chancellor, SunRise University, Alwar as ‘Special Guests’ from Academia; Dr. Rajiv Dahiya, President APP and Principal, Globus College of Pharmacy, Bhopal, Madhya Pradesh as ‘Organizing Chairman’ and Prof. Govindasamy Jeyabalan, Principal, Alwar Pharmacy College, Alwar, Rajasthan as ‘Convener’. 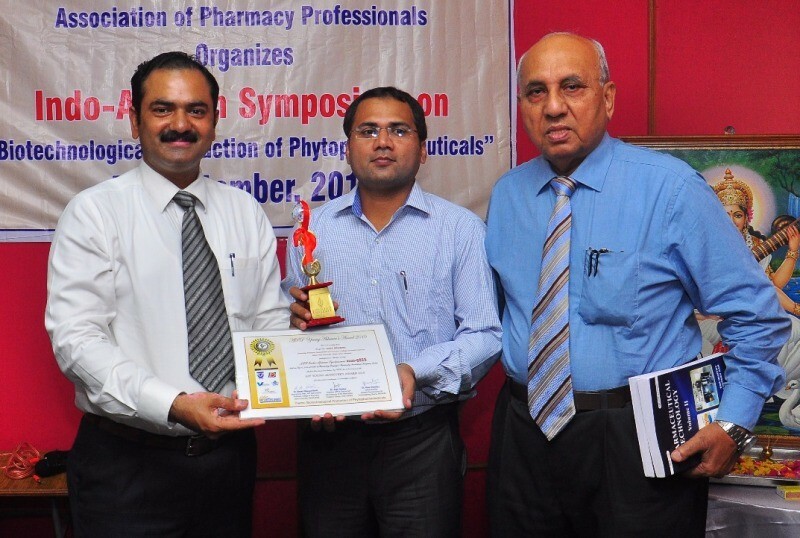 After the inauguration, Dr. Rajiv Dahiya, President APP made the gathering aware of objectives of Association of Pharmacy Professionals (APP). 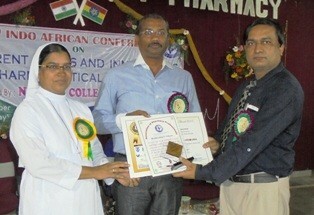 Felicitation of Sh. 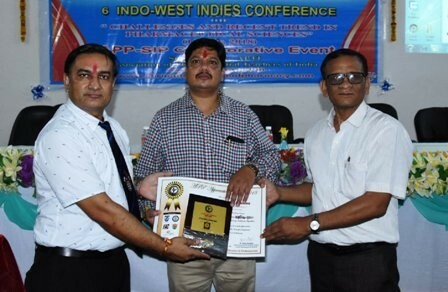 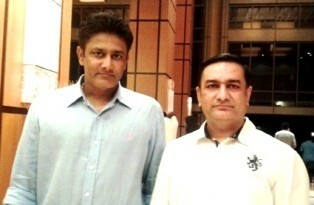 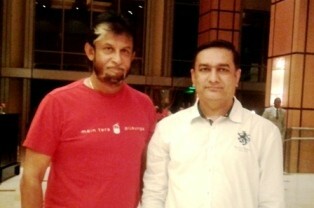 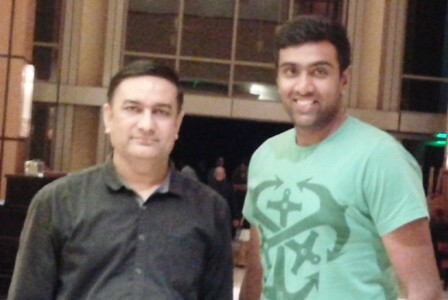 Ajay Phatak, Asst. 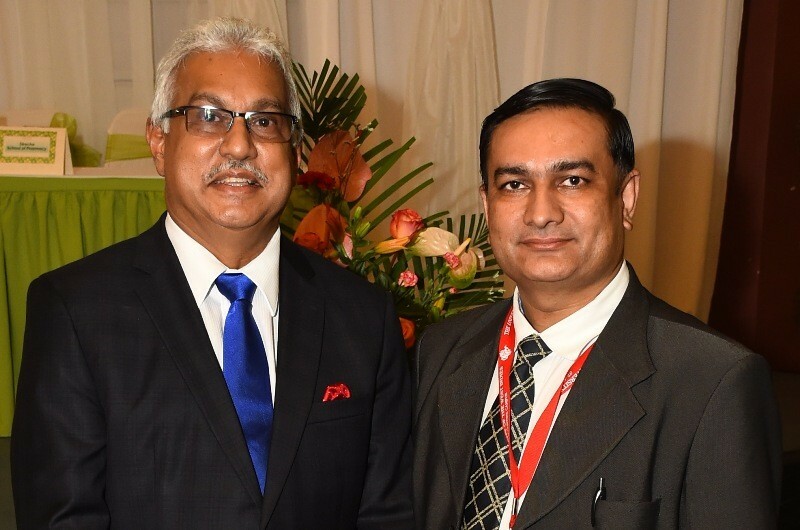 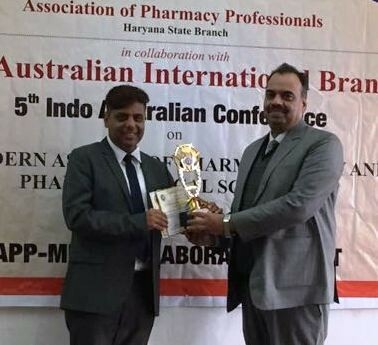 Drug Controller, Jaipur, Rajasthan – the ‘Chief Guest’ of the event, was done by Dr. Rajiv Dahiya, President of the Association of Pharmacy Professionals (APP), with bouquet of flowers and appreciation certificate. 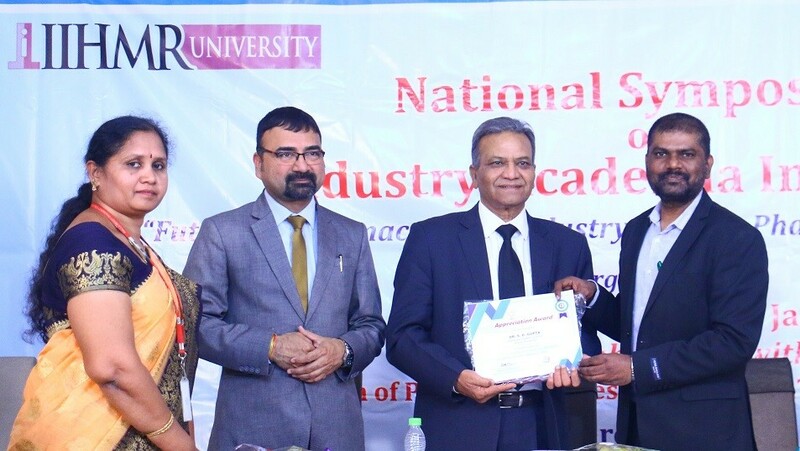 During seminar, Dr. Saurabh Dahiya, recipient of “Young Achiever Award” and a Faculty of School of Pharmaceutical Sciences, Apeejay Stya University, Gurgaon, Haryana, addressed gathering on ‘Compulsory Licensing: A Key Regulatory Issue’. 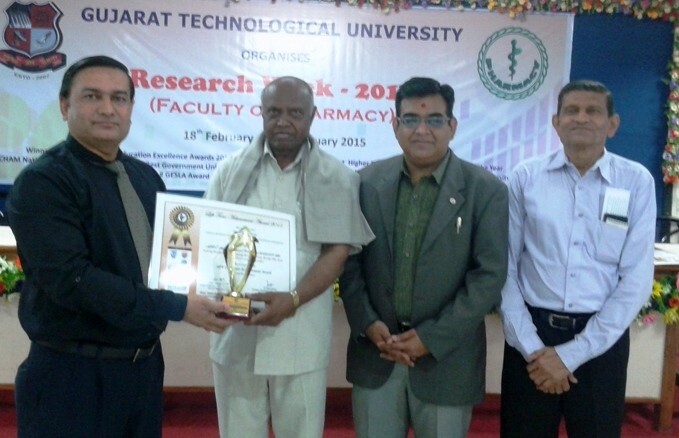 The scientific session of the event continued with the lecture of Prof. Ashutosh Kar, Sr. 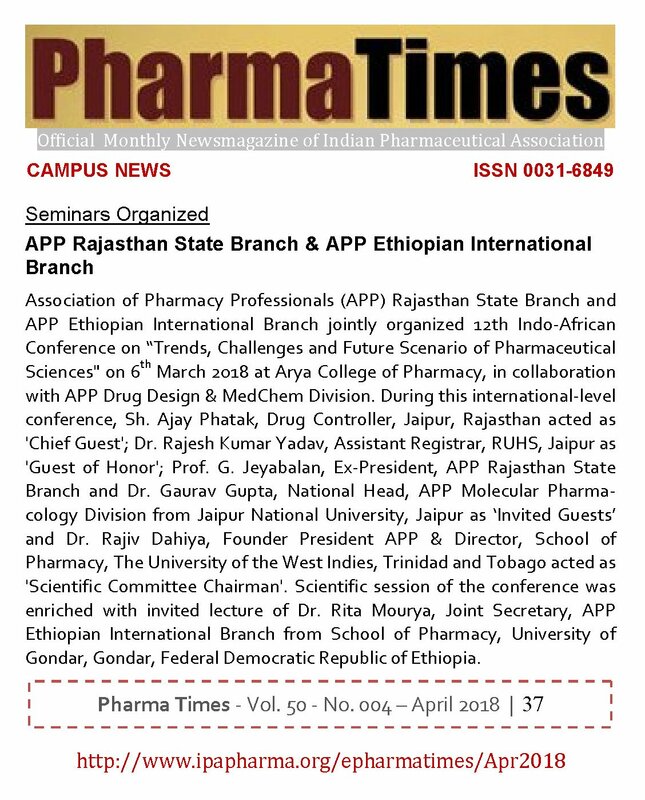 Professor, School of Pharmaceutical Sciences, Apeejay Stya University, Gurgaon, Haryana on the topic “Time Controlled Secondary Pharmaceutical Products vs Chronopharmacology”. 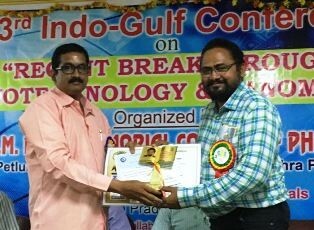 After his talk, Prof. Kar was felicitated by memento and certificate by Prof. Geyabalan Jeyabalan, convener of the seminar and President, APP Rajasthan State Branch. 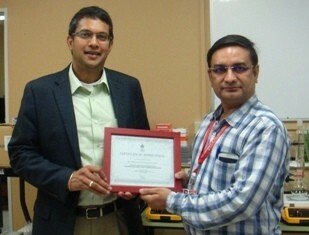 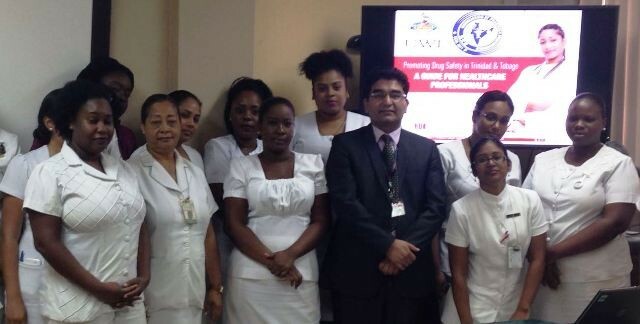 Another lecture was delivered by Dr. Hemendra Gautam, Vice President APP and Principal, Smt. 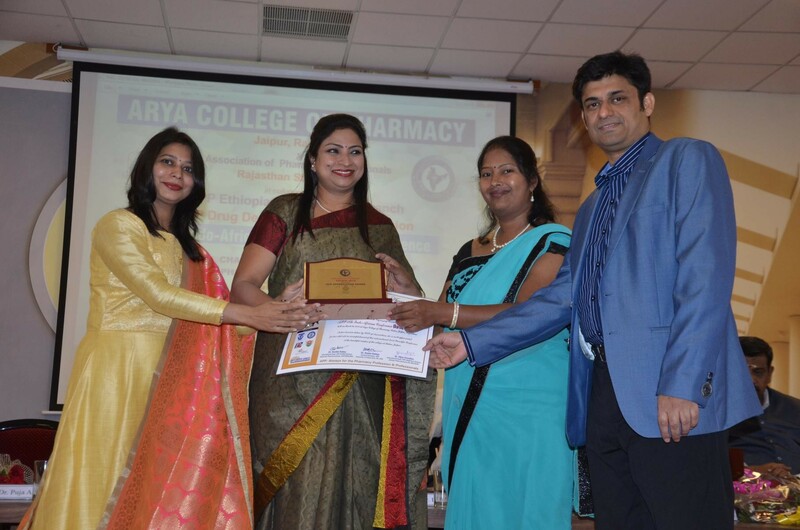 Vidyawati College of Pharmacy, Jhansi, Uttar Pradesh who addressed the professional gathering on the topic “Drug-Drug Interactions: Identification and Prevention in Patients”. 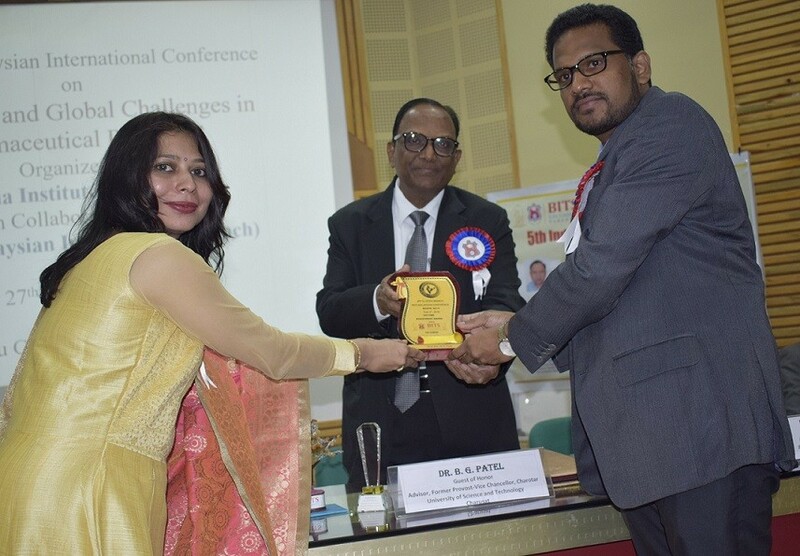 After the last talk, oration was given by Dr. Sanjeev Kumar Mourya, HOD, Department of Biotechnology, Invertis University, Bareilly, Uttar Pradesh who addressed the gathering on “Clinico Pathological Analysis of Gallbladder Carcinoma from North India”. 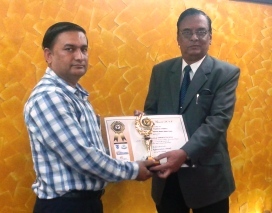 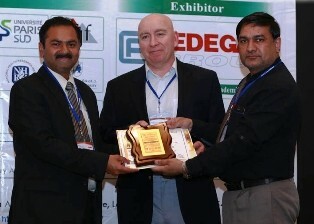 Dr. Mourya was conferred with ‘Best Oral Presentation Award’ for his oration, by President APP and President APP Rajasthan State Branch during the seminar. 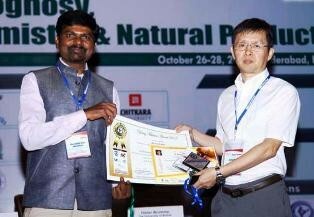 Another ‘Oral Presentation Award’ was given to Mr. Ajit Kumar Yadav, Research Scholar, Mewar University, Chittorgarh, Rajasthan for his oration on “Phytopreventive Values of Plants against Dental Caries Urban and Rural Variation”. 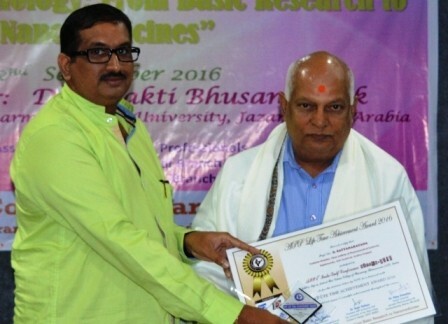 During the programme, Dr. V. K. Agarwal, the Chairman of the hosting institute, honored all guests and speakers including Sh. 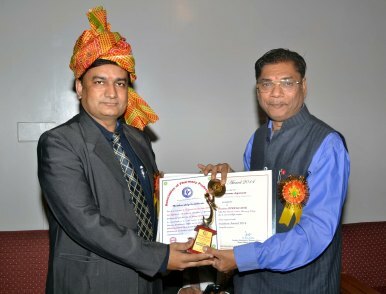 Ajay Phatak, Dr. Rajesh Kumar Yadav, Dr. Saurabh Dahiya, Dr. Hemendra Gautam, Dr. Rajiv Dahiya, Prof. Ashutosh Kar, Prof. Govindasamy Jeyabalan, Sh. 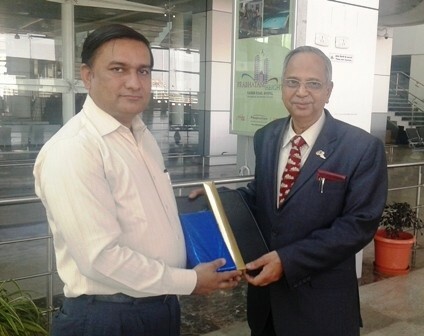 Tarsem Jain (Editor, Pharma Pramarsh) and Prof. B. L. Raina (Vice Chancellor, SunRise University, Alwar) with ‘Maa Saraswati Memento’, Shawl, Bouquet of flowers and the traditional ‘Pagdi’. 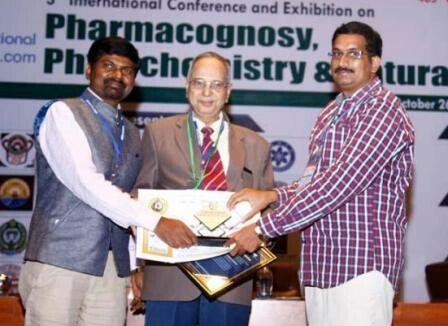 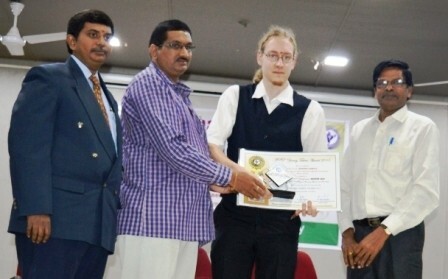 During seminar, Mr. Suresh Kumar Beniwal, Research Scholar, Institute of Pharmaceutical Sciences, Kurukshetra University, Haryana; Mr. Manoj Jadon, UG student, Alwar Pharmacy College, Alwar won ‘Best Poster Presentation Awards‘. 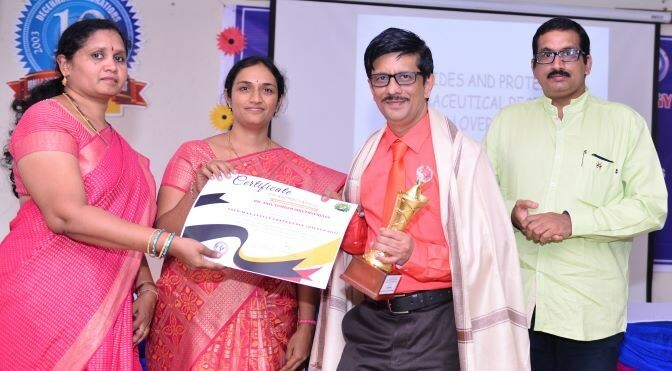 In addition to oral/poster presentation awards, Mr. Ashutosh Upadhyay, Research Scholar, NIMS University, Jaipur and Associate Professor, Department of Pharmacology, Alwar Pharmacy College, Alwar was honored with “APP Best Teacher Award” and Ms. Tiaba Rashid, B.Pharm 4th year student of hosting institute was honored with “APP Best Student Award” by Association of Pharmacy Professionals (APP) during valedictory function of the event. 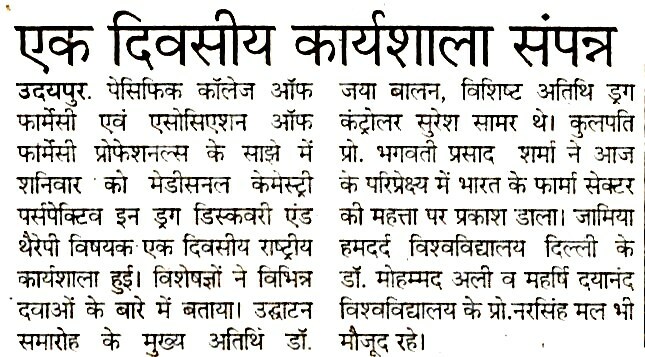 The workshop was witnessed by Dr. Narendra Kumar Nyola, Joint Secretary, APP Rajasthan State Branch and faculties/students of Alwar Pharmacy College, Alwar, Rajasthan and surrounding pharmacy institutions. 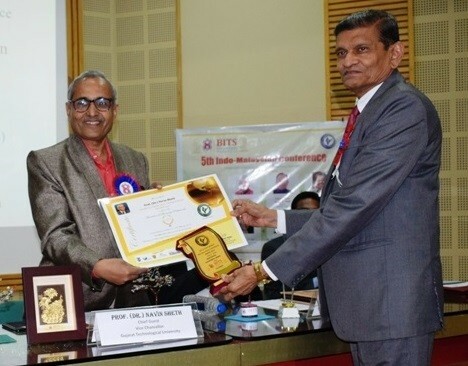 During the event, Dr. V. K. Agarwal, Chancellor, SunRise University (SRU), Alwar was conferred with “APP Appreciation Award” by President APP for his contribution toward pharmacy profession. 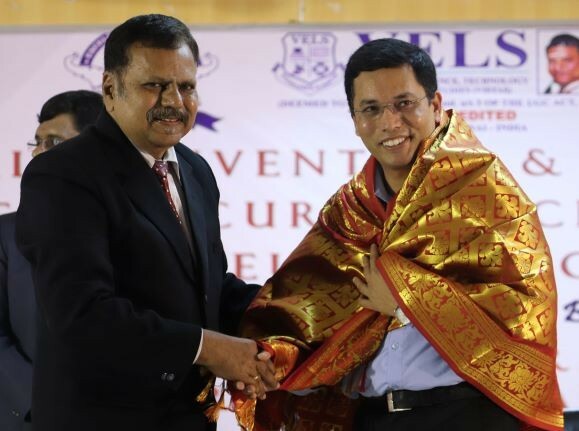 Programme was ended with vote of thanks by Prof. Govindasamy Jeyabalan. 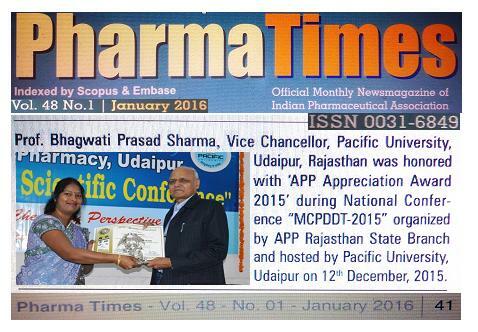 Association of Pharmacy Professionals (APP) Rajasthan State Branch organized National Conference on ‘Medicinal Chemistry Perspective in Drug Discovery and Therapy’ on 12th December, 2015 at Pacific College of Pharmacy, Pacific University, Udaipur, Rajasthan. 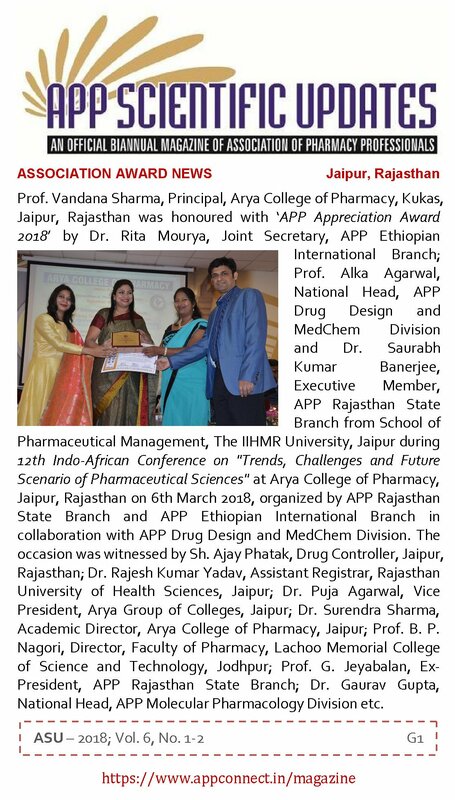 Event was witnessed by Prof. Govindasamy Jeyabalan, President, APP Rajasthan State Branch and Principal, Alwar Pharmacy College, Alwar, Rajasthan as ‘Chief Guest’; Mr. Suresh Samar from Drug Control Officer, Udaipur Zone, Rajasthan State as ‘Special Guest’; Dr. Rita Mourya, Treasurer, Association of Pharmacy Professionals from Faculty of Pharmacy, VNS Group of Institutions, Bhopal, Madhya Pradesh and Prof. Bhagwati Prasad Sharma, Vice Chancellor, Pacific University, Udaipur as ‘Guests of Honor’; Prof. Indrajeet Singhvi, Dean, Faculty of Pharmacy, Pacific College of Pharmacy, Pacific University, Udaipur as ‘Organizing Secretary’ and Dr. Alka Agarwal, Associate Professor, Department of Pharmaceutical Chemistry, Pacific College of Pharmacy, Udaipur as ‘Programme Coordinator’. 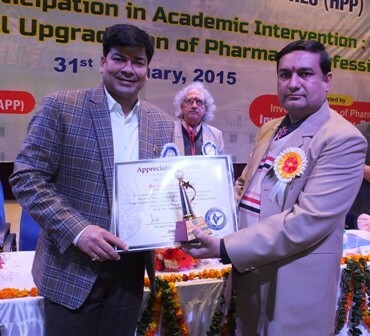 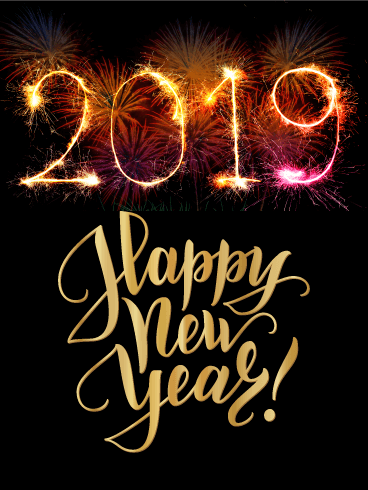 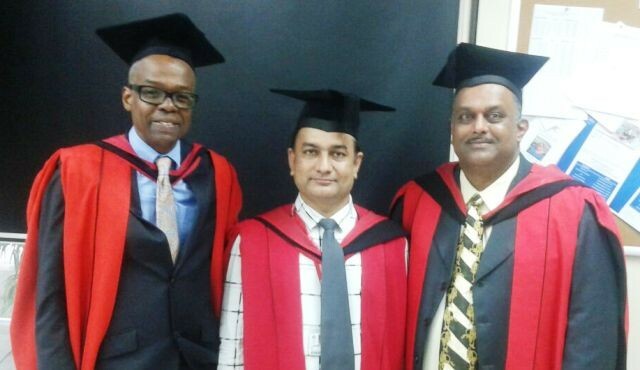 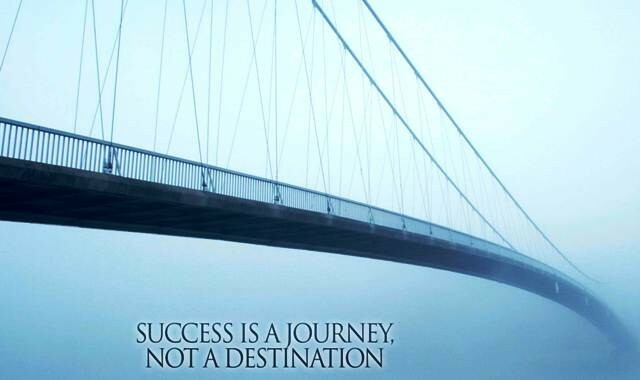 Moreover, Dr. Rajiv Dahiya, President APP and Professor, Dept. 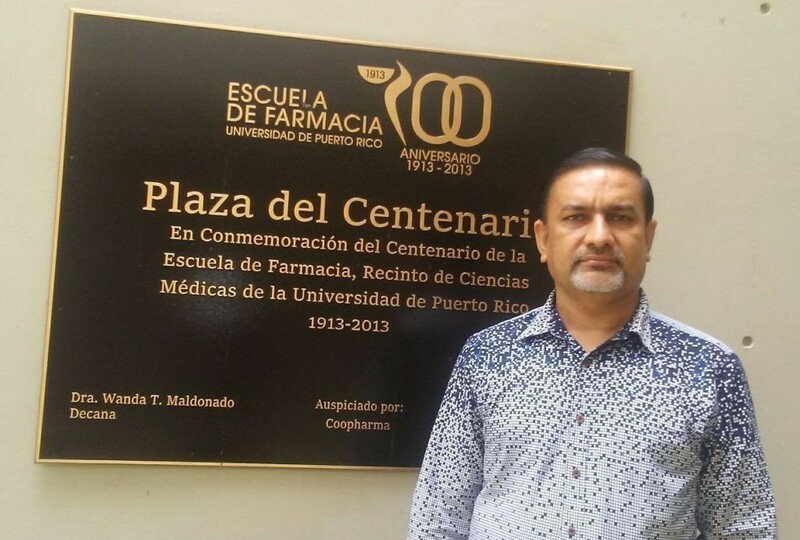 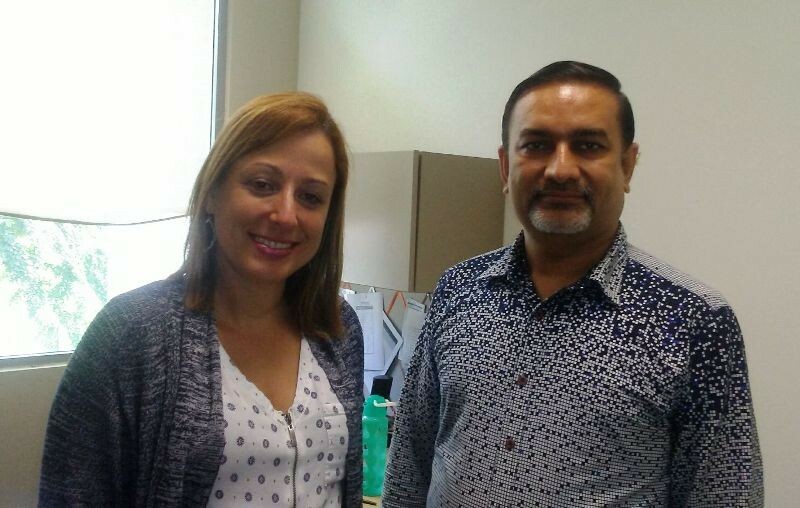 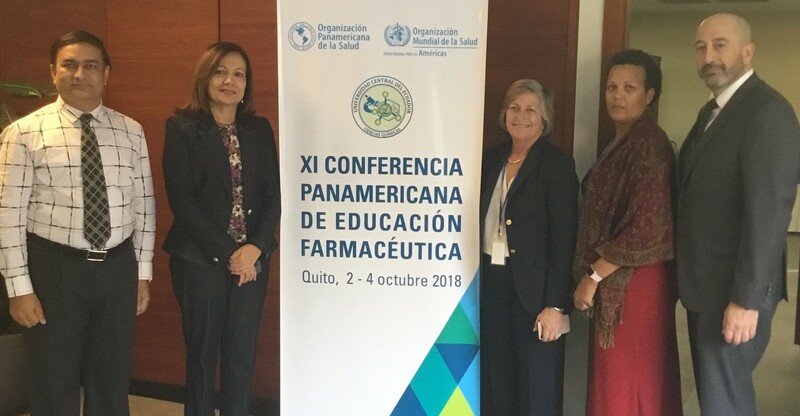 of Pharmacy, College of Health Sciences, Mizan-Tepi University, Ethiopia acted as ‘Organizing Chairman‘ and Dr. Sunita Dahiya, General Secretary APP acted as ‘Chairman – Scientific Committee‘ in absentia. 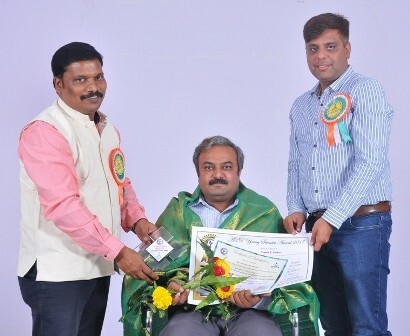 Inauguration was started with ‘Prayer‘ followed by welcome of all the guests on the dias with bouquet of flowers. 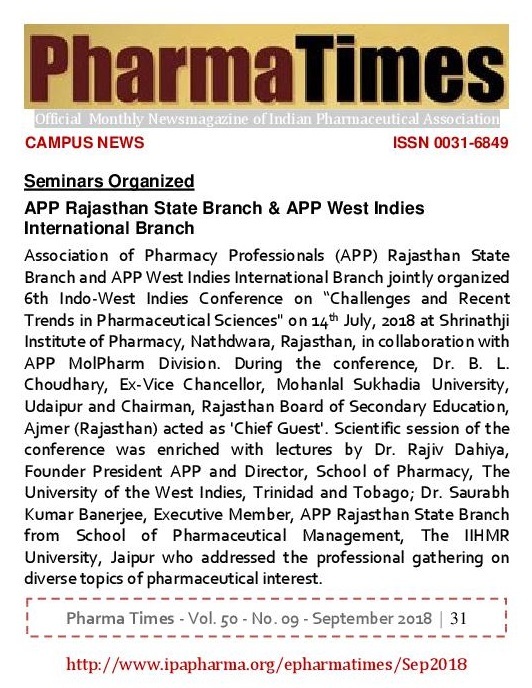 Scientific session was initiated with keynote lecture of Prof. Bhagwati Prasad Sharma, Vice Chancellor, Pacific University, Udaipur who addressed the gathering on ‘Pharmaceutical Trading‘. 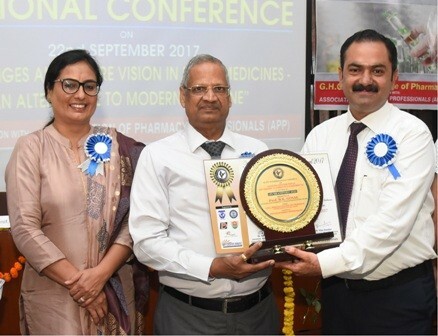 In his talk, Dr. B. P. Sharma focused on the key concepts and challenges in pharmaceutical trading with respect to indian and global scenario. 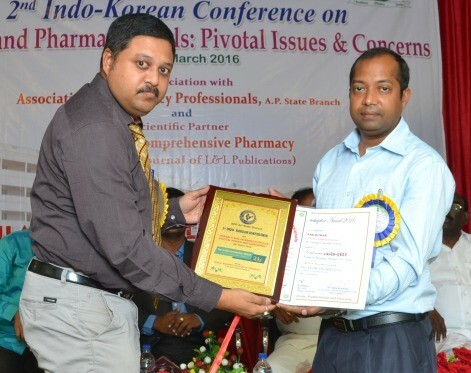 He also emphasized on the “Consumer Concerned Policy” of the pharmaceutical companies as well as industry ethical marketing. 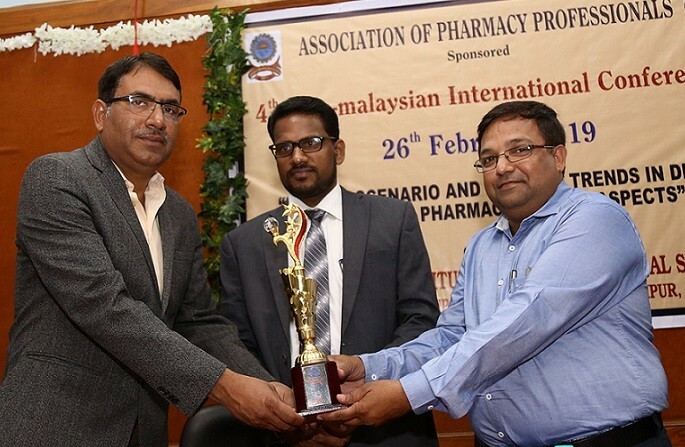 Dr. Sharma was felicitated with ‘APP Appreciation Award 2015’ for his outstanding contribution in education sector by Dr. Rita Mourya, Treasurer, Association of Pharmacy Professionals, India. 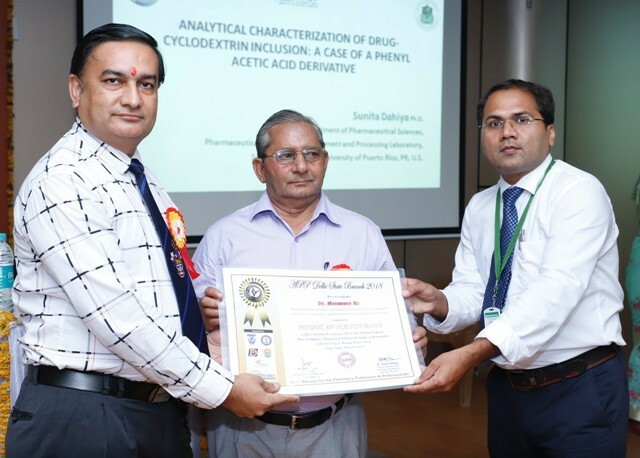 Scientific session was continued with lecture of Prof. Narsimhan B., Dean, Faculty of Pharmaceutical Sciences, Maharshi Dayanand University, Rohtak, Haryana on the topic ‘CADD – Computer Aided Drug Design‘. 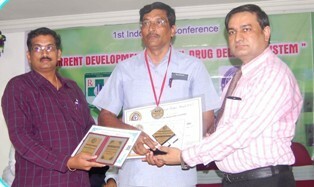 Dr. Narsimhan told that drug discovery is an expensive process involving high R & D cost and extensive clinical testing. 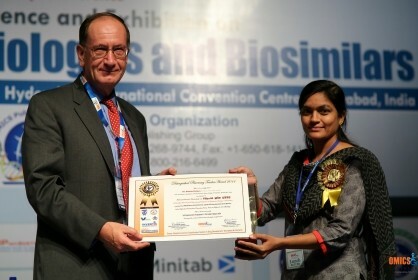 A typical development time for drug discovery is estimated to be 10-15 years and modern drug discovery process involve several critical steps including target identification and validation, lead identification and optimization as well as preclinical phase. 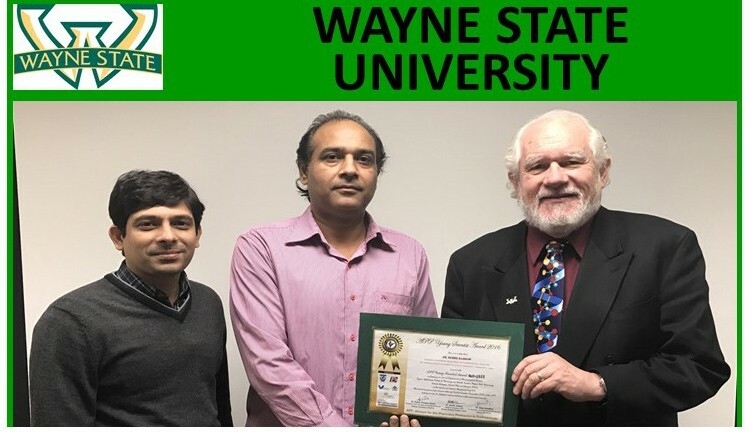 He also discussed about physicochemical parameters (including lipophilicity, electronic, stearic, topological parameters) commonly used in QSAR. 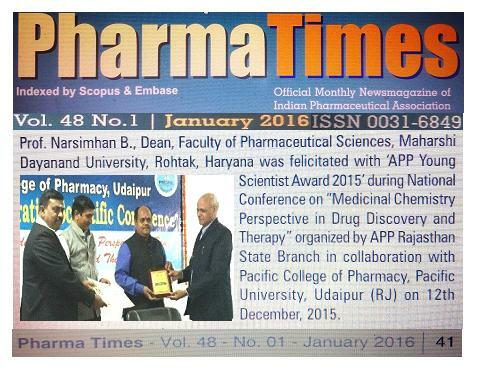 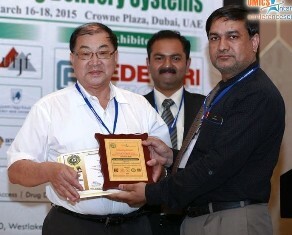 Prof. Narsimhan B., Dean, Faculty of Pharmaceutical Sciences, M.D. 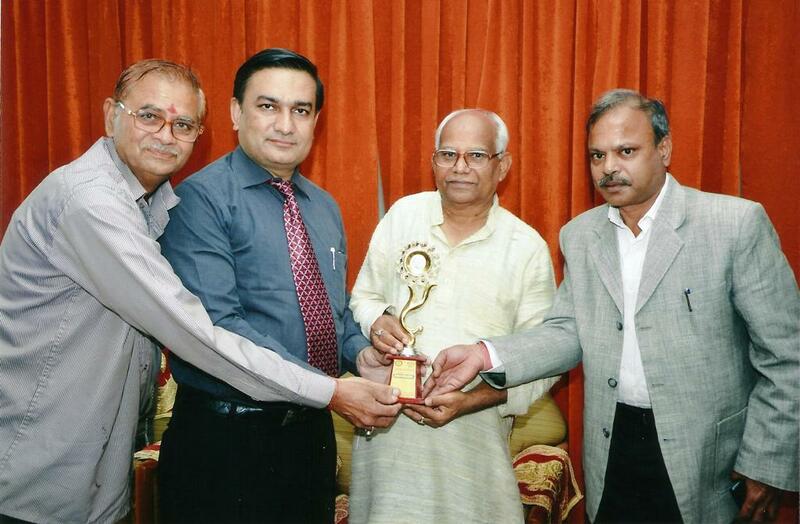 University, Rohtak, Haryana was felicitated with ‘APP Young Scientist Award 2015‘ by Prof. Govindasamy Jeyabalan, President, APP Rajasthan State Branch; Prof. Indrajeet Singhvi, President, APTI Rajasthan State Branch and Prof. B. P. Sharma, Vice Chancellor, Pacific University, Udaipur, Rajasthan during the event. 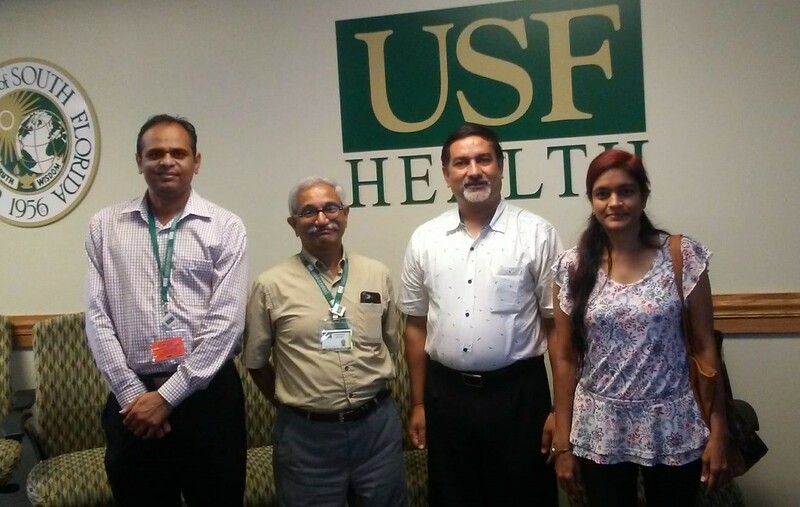 Dr. Narsimhan has more than 110 research publications to his credit covering a cumulative ISI impact factor of more than 165. 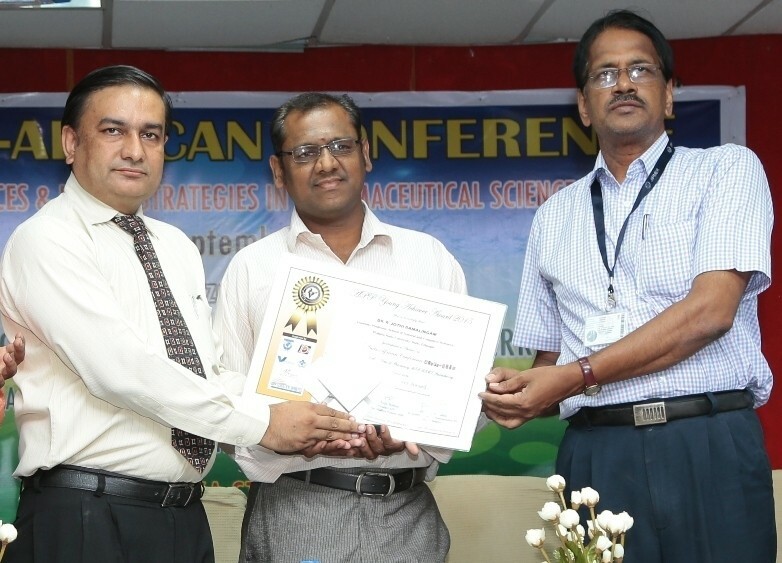 Scientific session was terminated with lecture of Prof. Mohammed Ali, Ex-Professor, Faculty of Pharmacy, Jamia Hamdard University, New Delhi on the topic ‘Aromatherapy : Chemistry and Medicinal Uses’. 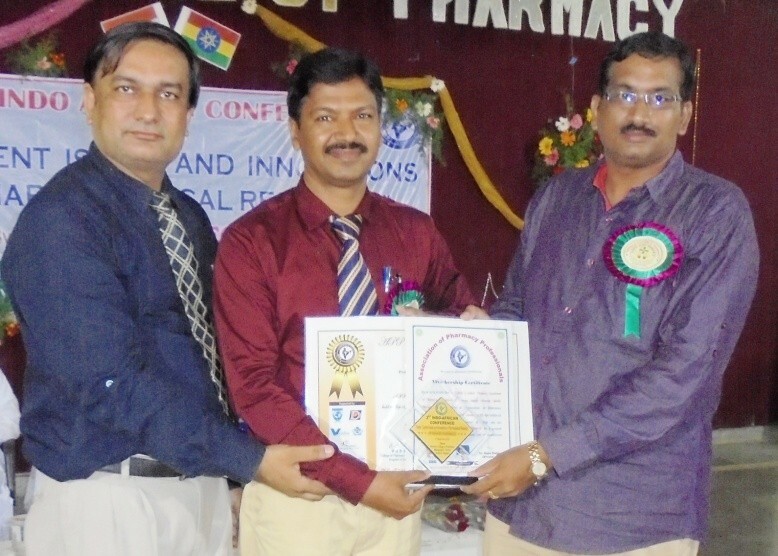 Dr. Ali told that aromatherapy is a natural and noninvasive gift of the nature for humans and it regulates the physiological, spiritual and psychological functions and provides a new phase of life. 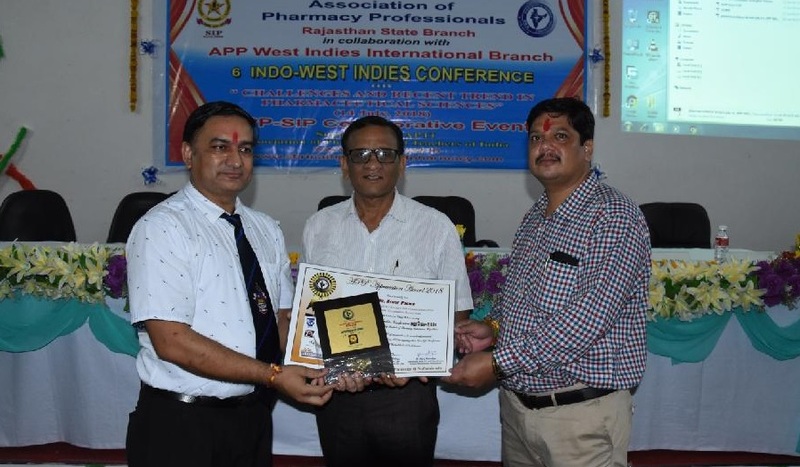 During conference, Dr. Indrajeet Singhvi, Dr. Alka Agarwal, Mr. Khem chand Gupta and Mr. Narayan Lal from Pacific College of Pharmacy, Udaipur were honored with ‘APP Appreciation Award’, ‘APP Best Teacher Award’, ‘APP Best Research Scholar Award’ and ‘APP Best Student Award’ respectively. 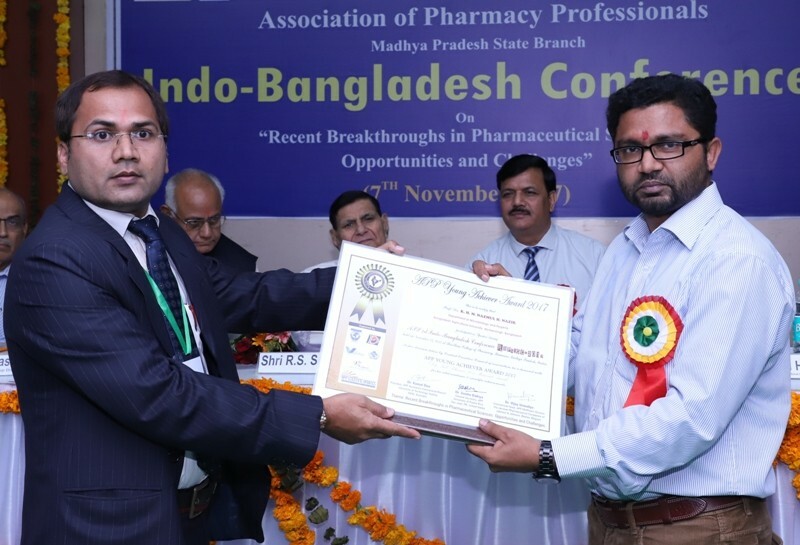 Conference was attended by huge crowd of pharmacy teachers/students and papers were presented in ‘poster’ session by more than 100 delegates. 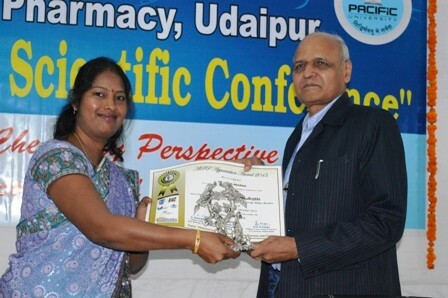 During valedictory function, first prize in poster competition was given to Mrs. Veenu Bala from Mohan Lal Sukhadia University, Udaipur on her presentation on topic ‘Drug Designing via Established Molecule: Most Fruitful Basis of Drug Discovery’. 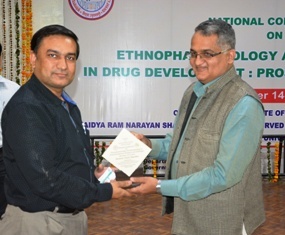 Second and third prizes were given to Mr. Khemchand Gupta from Pacific College of Pharmacy, Pacific University, Udaipur and Mrs. Joohee Pradhan from Mohan Lal Sukhadia University, Udaipur on topics ‘Formulation and Evaluation of Stable Dry Powder Inhaler for Tiotropium Bromide with Better Lung Deposition’ and ‘Computer Aided Drug Design Studies for Anticonvulsant Activity of Some Newly Synthesized Pyrazolyl Pyridines’ respectively. 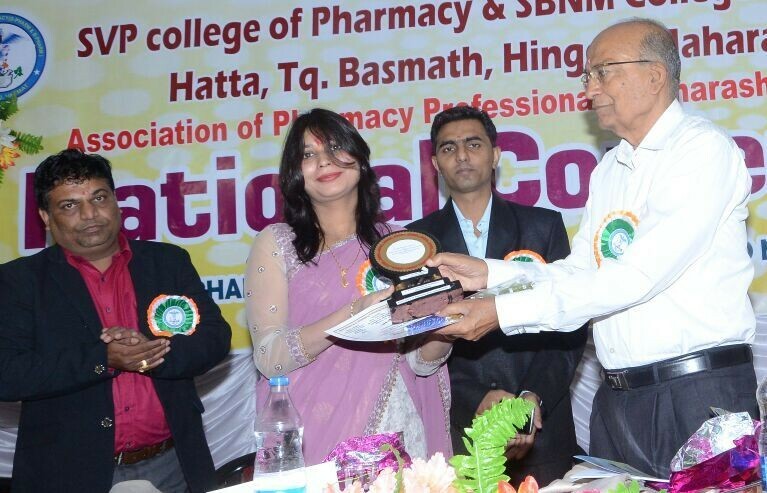 Moreover, students of B. N. Institute of Pharmaceutical Sciences, Udaipur and Shree Nath Institute of Pharmacy, Nathdwara won two consolation prizes. 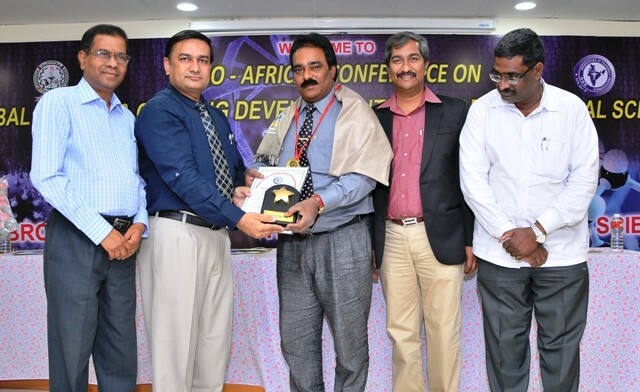 Conference was attended by Dr. Satish Chandra Tewari (Director, Rotam Pesticides, Udaipur); Dr. Ashok Dashora (Dean, Faculty of Pharmacy, Geetanjali University, Udaipur); Dr. S. C. Ameta (Director, Pacific College of Basic and Applied Sciences), Dr. Hament Kothari (Dean, PG, Pacific University) and Principals/faculties of surrounding and hosting pharmacy college.